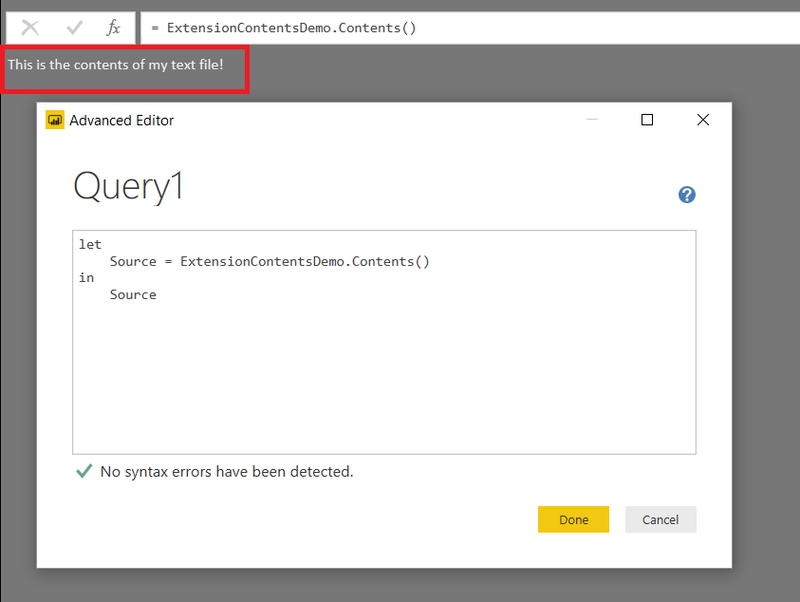 The idea of creating a Power BI custom connector for the Power BI REST API is not a new one: Miguel Escobar wrote one earlier this year (see here for the source code and documentation). 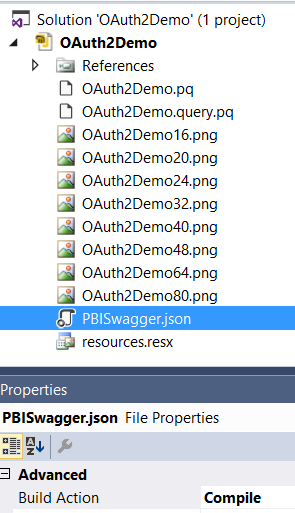 However the Power BI REST API has a lot of endpoints so writing code to support them all would be extremely time-consuming, and there is another option: using the new OpenApi.Document() M function – only available for custom connectors, and not in Power BI Desktop or Excel – to read the API definition from an Open API (aka Swagger) definition file. 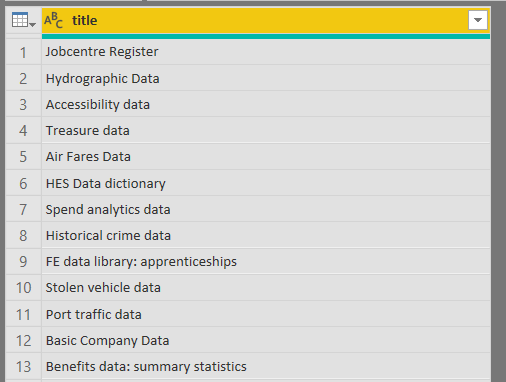 Full documentation and samples for using OpenApi.Document are available here, and an Open API definition file for the Power BI REST API is available here. 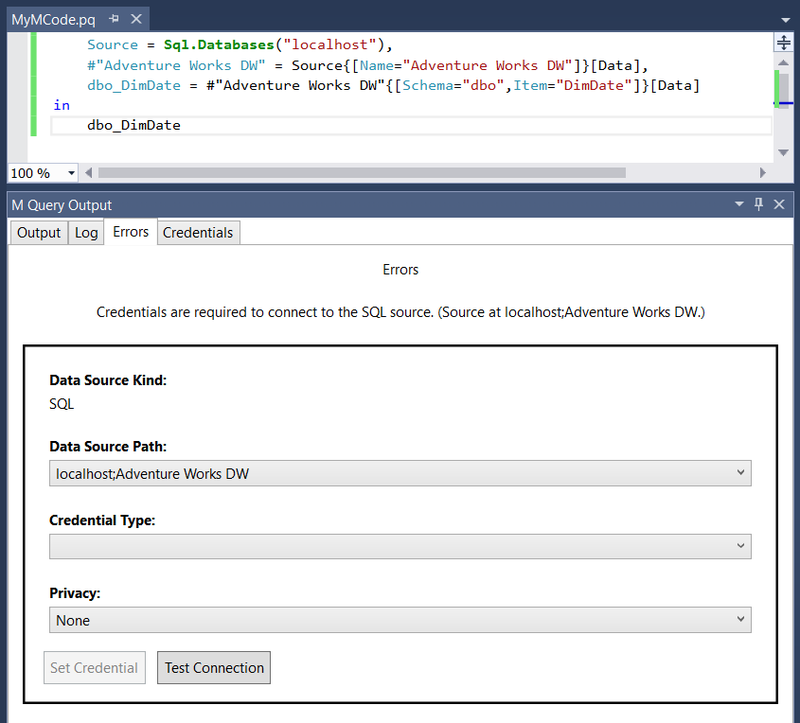 The Power BI REST API uses Azure Active Directory authentication and handling AAD authentication in custom connectors is well documented here; Miguel’s sample shows how to adapt this code for Power BI. As you’ll find if you try this, not everything ‘just works’ – there are a few functions that return errors. In this case I embedded the Open API definition file in the project but it’s also possible to download it dynamically using Web.Contents(). 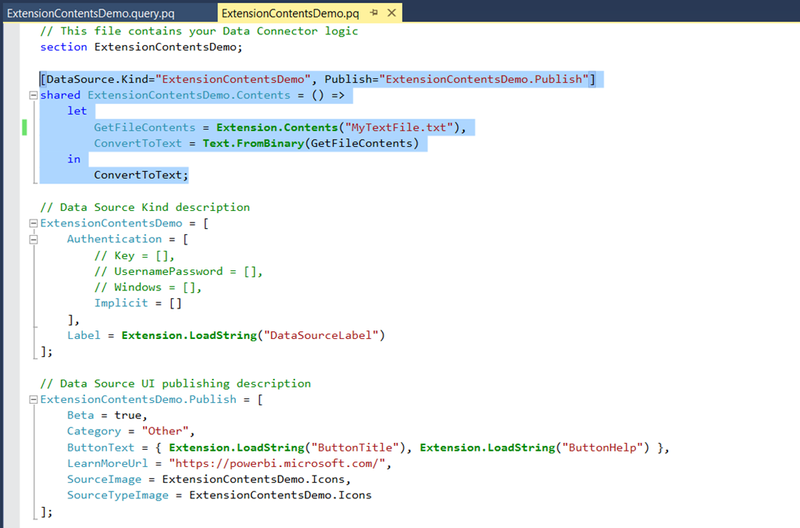 This means that whenever the published Open API definition file is updated the custom connector also updates automatically. 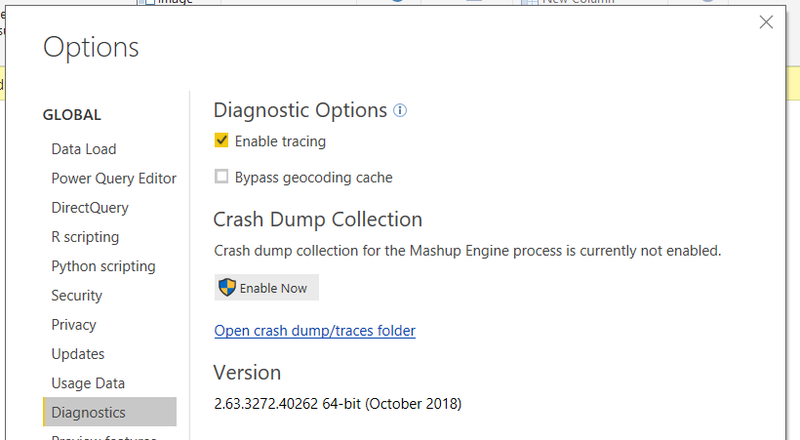 Are you sure the published Open API definition file will get updated when the API changes, though? What if it doesn’t, or there is an error in it? 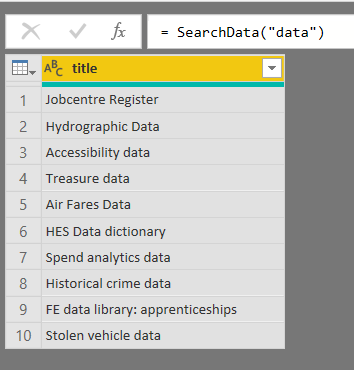 Connecting to an API is all very well but it’s very important that a custom connector delivers data in a format that is modelled appropriately for Power BI, and very few APIs do this on their own. Pretty much every custom connector I have built has a lot of code in it to transform the data output by the API into something like a star schema, and the need to do this cancels out all the magic automatic stuff that OpenApi.Document() does for you. 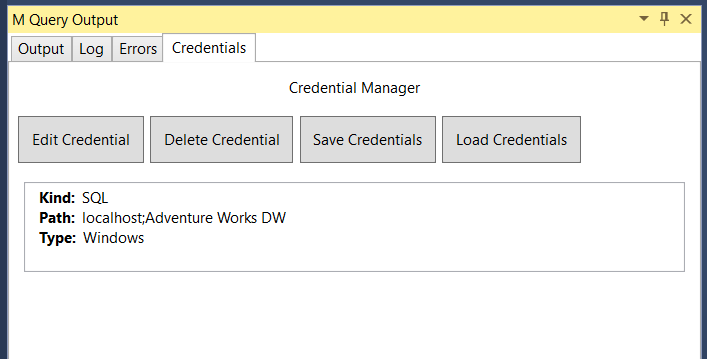 So that the CredentialQuery option is used instead of the Query option, the search term will not appear in the log file. Thanks to Curt Hagenlocher for providing this information. 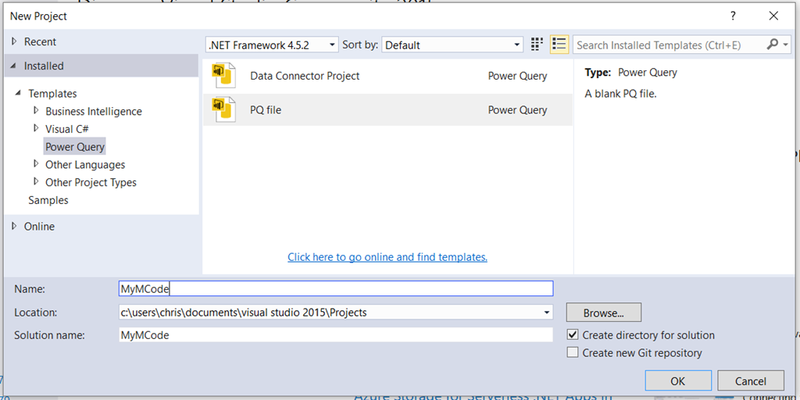 I was looking at the list of M functions supported in custom connectors and not in Power BI Desktop (using the technique I blogged about here) in the latest version of the Power Query SDK when I came across an intriguing new function: List.ParallelInvoke(). It doesn’t seem to be documented anywhere, but I think I’ve worked out what it does and it’s very exciting! …then after 15 seconds you get the value 3 back. 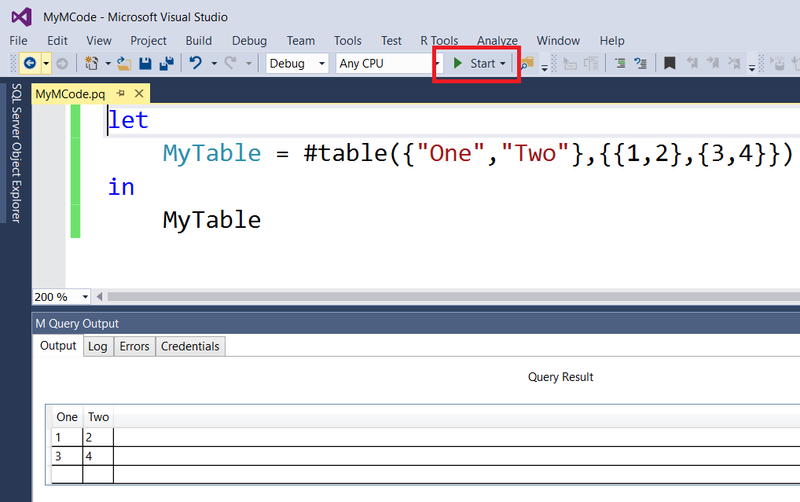 …returns after 10 seconds, suggesting that only two function calls at a time are invoked in parallel. 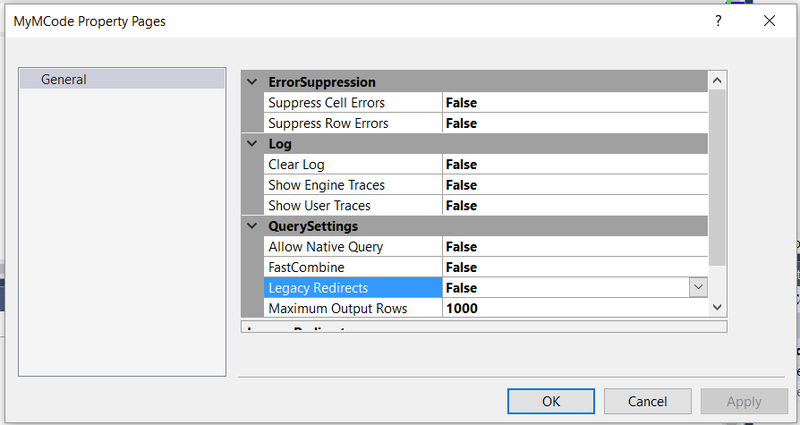 I can imagine all kinds of uses for this, for example making multiple parallel calls to data sources or doing expensive calculations in parallel. I wonder if it will ever be allowed to be used outside custom connectors? 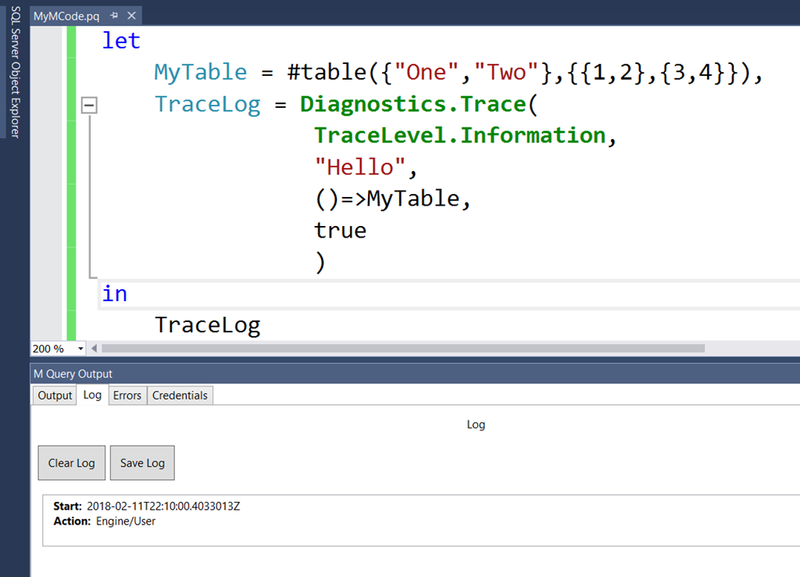 UPDATE: see Curt Hagenlocher’s comment below for some important information about this function. 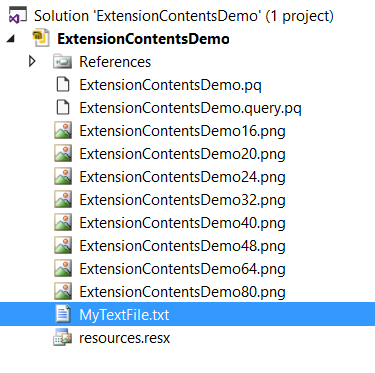 Following on from my post last week about M functions that are only available in custom data extensions, here’s a quick explanation of one of those functions: Extension.Contents(). 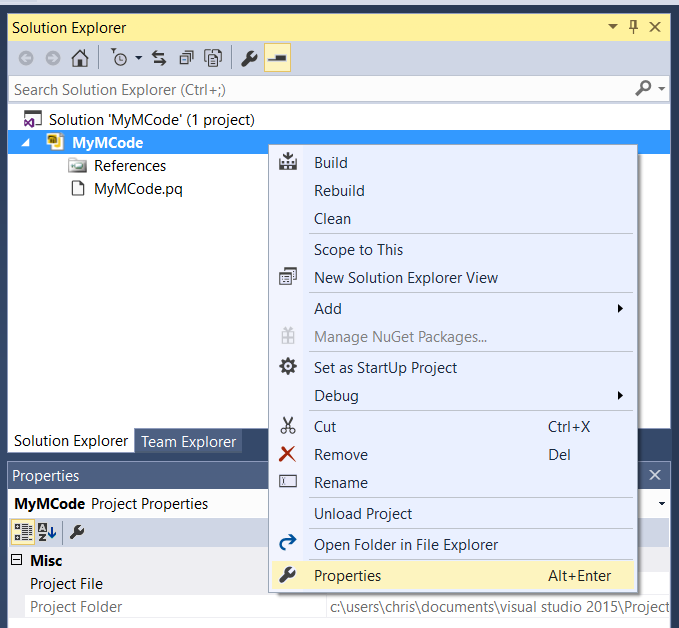 Setting this property means that when your custom data connector is built, this file is included inside it (the .mez file is just a zip file – if you unzip it you’ll now find this file inside). 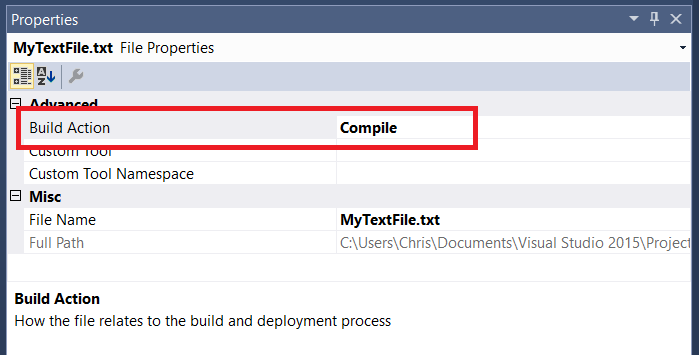 In the let expression here the GetFileContents step returns the contents of the text file as binary data and the ConvertToText step calls Text.FromBinary() to turn the binary data into a text value.